I already told you about the new eBook, Conversations with my Cat, that I released today (you can buy it here). Well, you also have the opportunity to purchase a shared-world anthology with one of my stories in it, and that’s out today too. 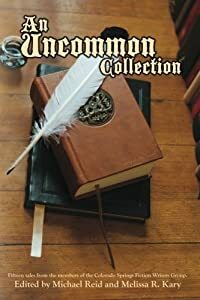 An Uncommon Collection is an anthology published by the Colorado Springs Fiction Writer’s Group, and features fifteen stories surrounding Librorum Taberna, an unusual bookstore where anything can happen. My story, Charisma, centers on the title character, Charisma, who is a collector of rare and dangerous artifacts. 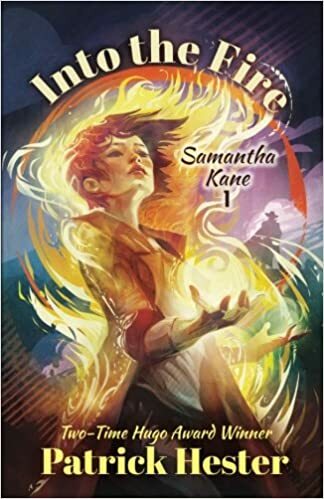 One such artifact, the Grimoire of the Magi Medes, is in her possession as the story begins, and she is racing to bring it to the only place she knows it won’t be able to hurt anyone – Librorum Taberna. Written in Greek, which, in her experience, was much worse than Latin (something about the inflections), the book has the ability to unleash an army of Demons on an unsuspecting human populace, which, strictly speaking, was frowned upon in civilized culture, so she would prefer to have the book safely locked away. Unfortunately, not everyone agrees with her, and that’s where Charisma begins. I encourage you to check out An Uncommon Collection. It’s available as both an eBook (Kindle only for now) and as a physical paperback.